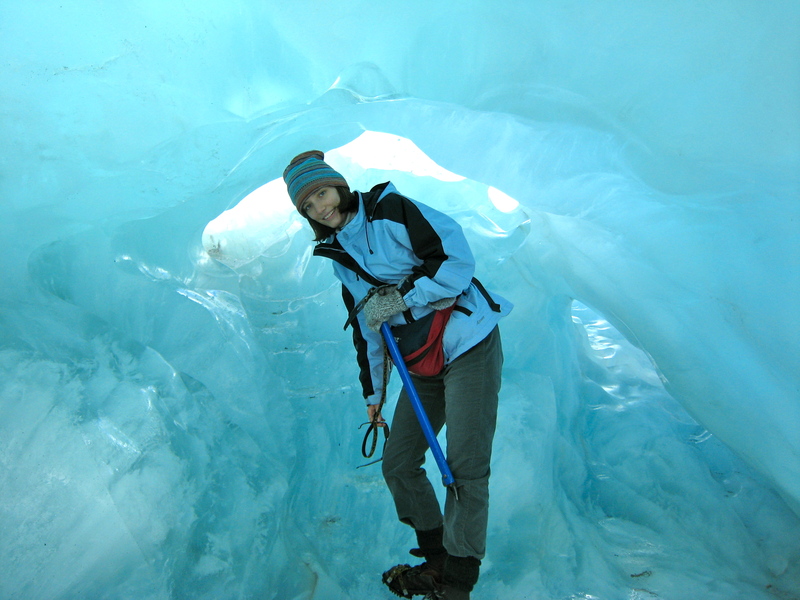 Photo: Franz Joseph Glacier, New Zealand | Where is Yvette? This entry was posted in New Zealand, Photos, Science!. Bookmark the permalink. The photos looks remarkably like it was photo-shopped… maybe I will try to make a version of it with me, to see how hard it is to do! Looks shopped because the lighting is completely diffuse in there and there is no flat ground. That’s what I meant. In retrospect I should’ve added “despite being clearly real”.